At Campsite Col d'Ibardin in Urrugne (Pyrénées-Atlantiques) camping costs as little as €18,- per night during low season with CampingCard ACSI. At one of the 105 touring pitches you will get a discounted rate during the period 01-04-2019 - 06-07-2019 and 01-09-2019 - 30-09-2019. At this campsite you can not only use your CampingCard ACSI for inexpensive camping, you can also use your ACSI Club ID (as an alternative ID). 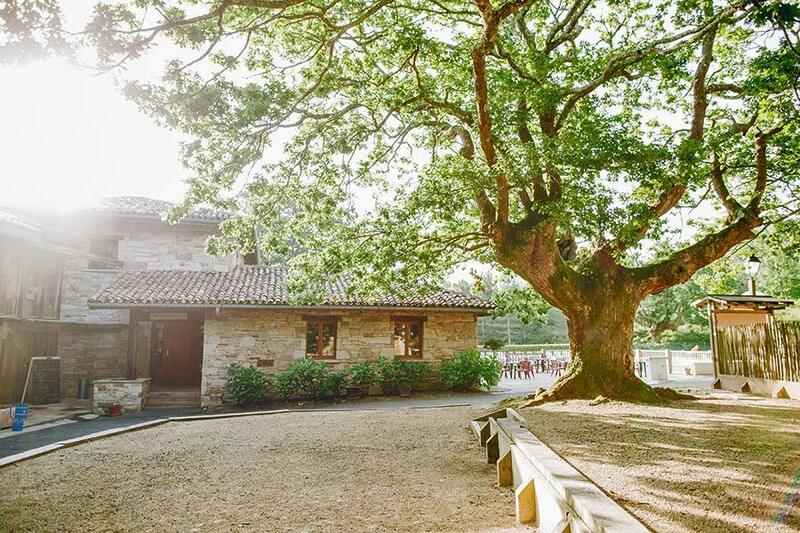 Under centuries-old oak trees on the Spanish border at the foot of the Col d'Ibardin. Bargain shopping there on the Col. Restaurant and swimming pool with a splash pool for children. Very nice campsite in a woodland location. Surrounded by open field so ideal if you have a dog or just generally like walking. Site is family oriented with lots to do for those with children ( not us ) but still not too noisy for those seeking a quiet night. As you leave the site turn left and there is an excellent cafe just up the road with very friendly staff and fresh coffee and croissants, ideal for that morning stroll. One word of morning, there is a large shopping centre up the hill at the old duty free area, I would not recommend this for those in a motorhome/ The road is steep and winding and when you get there the town is extremely busy with little chance of parking, although this may be easier in the winter months. Nice site in good weather, but we picked a very wet week. The pitches were muddy and chewed up and it was difficult to pitch up. Surrounding areas were well worth visiting, and in better conditions the site would have lived up to expectations. Stayed here in what must be the wettest June which meant pitches were very muddy, poorly drained. Most pitches on sloping ground increasing the chances of being water-logged. Washing up facilities were under trees in the open down very slippery steps running with water, most out dated and NOT clean, consequently didn't use them. Campsite in general was run down, problems at the restaurant as chef walked out so didn't use. Perhaps in hot sunny weather it would have appeared different. Staff were friendly and no charge for WIFI. Lovely site with easy access. Very quiet, decent size pitches although several noticeably sloping. Toilets/showers clean and plentiful hot water. Ideally would be heated but not a problem. Great area for access to both beaches/resorts and mountains though transport needed. Highly recommended. Stated there was an internet charge but we were given the code and not charged! Would you like to book Campsite Col d'Ibardin or request more information? You can do both using the information below or by visiting the campsite's website. A63 Bayonne-San Sebastián. Take exit 2 St. Jean-de-Luz, direction Urrugne/Hendaye. Just before Urrugne at roundabout direction Col d'Ibardin. Do not drive up Col but follow road. Site is on right of road after 200 metres. CampingCard ACSI will send your information request to "Campsite Col d'Ibardin".